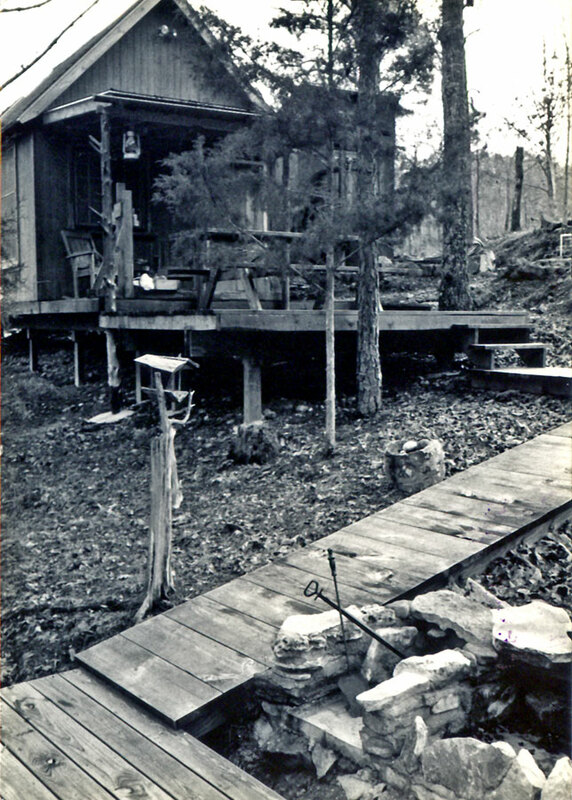 Front view of cabin No.2. There is a small, handmade bird feeder attached to the top of the red cedar stump near the boardwalk. The stone fire pit and wooden deck served as an outdoor kitchen. 1990, scanned black & white print, 3 x 5 in. (7.62 x 12.7 cm). Ozark Series. © 2008 by Allen C. Benson.